When the world goes to sleep and mainstream lights go off, then there are places where laser beams go on and music flows up in the air. This is the time when nightlife actually starts and clubs go all ready to retreat their visitors with food, drinks, games, music and other sorts of entertainment. Clearly, there would have been no night clubs if all the people would have preferred to sleep at night. While visiting to various destinations, apart from the day light attractions whether it comes to sightseeing or any shopping center, there are also various spots which could be found active at night. And these spots are especially for those who like to be at the places rather than to pass their night sleeping. Bali , an Indonesian tourist destination is one of the places where you could find some of the most electrifying nightlife clubs and bars only if you love to remain awake at night. 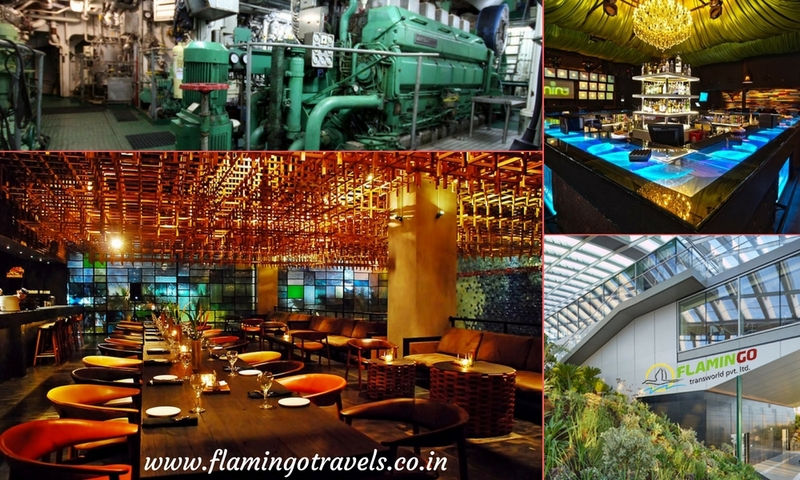 So, check out the list of incredible clubs and bars that you would come across while being on Bali tour packages. Sky Garden- Not just one, but you would find multiple clubs inside this spot which is a part of 61 Legian Entertainment Complex. Visit the clubs and DJs that continue to operate all the night at Sky Dome. One of the best parts of this complex is the roof top lounge that includes varieties of buffets specifically for the foodies. Jenja- A Middle Eastern restaurant to the top and nightclub to the downstairs, Jenja is all about pubbing, eating and dancing. For those who like to booze out have some great options at this club which include the categories like cocktails and other shots. The club also has a lounge for more facilities. Mint Bali- Apart from Jenja, the other famous nightclub that you would find in Seminyak is the Mint Bali tour. If you are the one who loves foot tapping music then you would surely like to be at this place for sure. A good thing about this nightclub is that it features international DJs for its guests who come and play off their enthralling collections. Engine Room- Well, from the name itself one can judge the power of the entertainment level that could be found within the club. This 3 storey building opens up surprisingly at afternoon at the downtown Legian main street and keeps on operating late night. Visit to the club and you would get direct on to the dance floor. Of course, every nightclub has its own specialty, but of you are on your Bali tour package for about a week then you could definitely explore the vivacious nightclubs of this destination.